A new integrated terminal building is under construction for the Guwahati airport in Assam, which is known as the Lokopriya Gopinath Bordoloi International Airport. The terminal is said to have 64 check-in counters, 20 self-check-in kiosks, and six arrival carousels. This project is a part of the Centre’s Act East Policy which has plans on enhancing the connectivity from the North Eastern Region to other neighbouring countries. The Lokopriya Gopinath Bordoloi International Airport in Guwahati, the capital of Assam, is one of the busiest airports in the country. However, the facilities in the airport were not up to the mark that an international airport should have. It has been learned that the airport has only two X-Ray machines, which makes the queues at the airport never-ending solution along with the airconditioners that rarely works. According to reports in a leading daily, the government has taken steps to build its new terminal, which will have 64 check-in counters, 20 self-check-in kiosks, and six arrival carousels. Moreover, as per reports, the foundation stone of the New Integrated Terminal Building for Guwahati Airport had been laid by former Union Civil Aviation Minister P Ashok Gajapathi Raju and Assam Chief Minister Sarbananda Sonowal in January and it is said to spread over 42 acres, and have a built-up area of 100,000 square meters. New Delhi-based Design International Forum has been brought onboard to design the space. 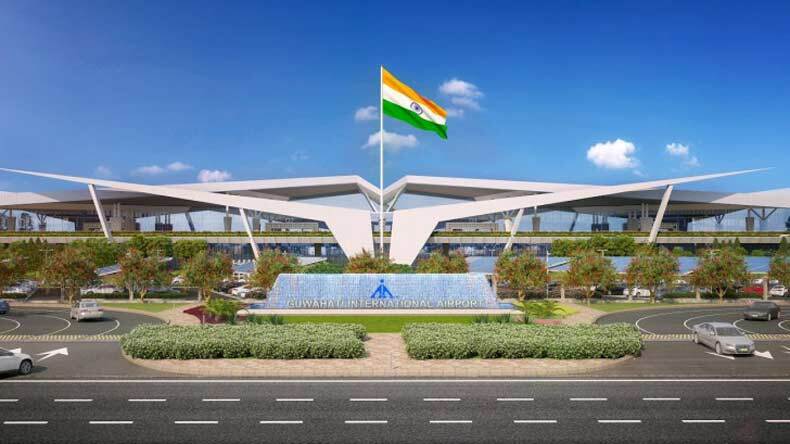 The airport set up is inspired by the Japanese concept of Origami said Anand Sharma who also said, “We wanted to create an arrival experience that showcased the heritage of all seven states”. Meanwhile, the new terminal is set to open in 36 months if everything works according to the plan. The current structure handles close to 3.8 million passengers a year and has one international airline, Bhutan’s Druk Air which carries passengers via Guwahati from Paro to Bangkok.